Back at the first of 2012, I opened this blog, posted a new entry then transferred information from my older web site. At the end of the “About” page, I added that there may also be a few surprises in the near future. This mallet is one surprise. 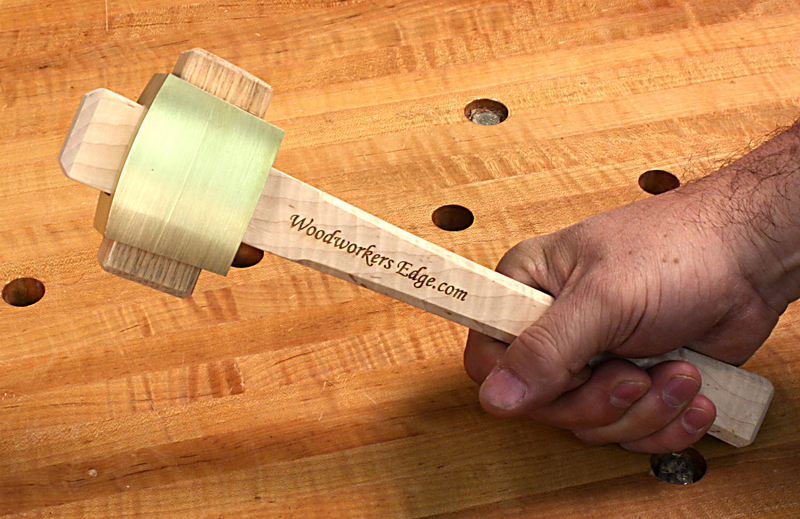 This is a first look, except by a couple close friends and business acquaintances, at my woodworking mallet – a mallet that’s coming to market shortly. More information is soon to come. That really looks like a FANCY mallet! Is that brass being used on the sides of the head? Hopefully Glen will never have to build an “ICDT” project again! Hey, I enjoyed some of those ICDT projects. There are times when nothing tops getting into your shop and busting out a project in less than an hour. Ooooo. Put me down for one! Glen, what happened to your Louisville Slugger mallet? Still have that mallet, Tom. I’ve retired it due to major splintering, but keep it in my bench drawer just in case. Every one in a while I’ll take it out to use.